23 March is the World Meteorology Day. This, in fact, an important day for meteorology, since on 23 March 1950 the Convention that established the World Meteorological Organization (WMO) came into force. The WMO is an intergovernmental organisation comprising 189 Member States and Territories, with the main objective of promoting meteorological research and concentration of all the weather information from around the globe. 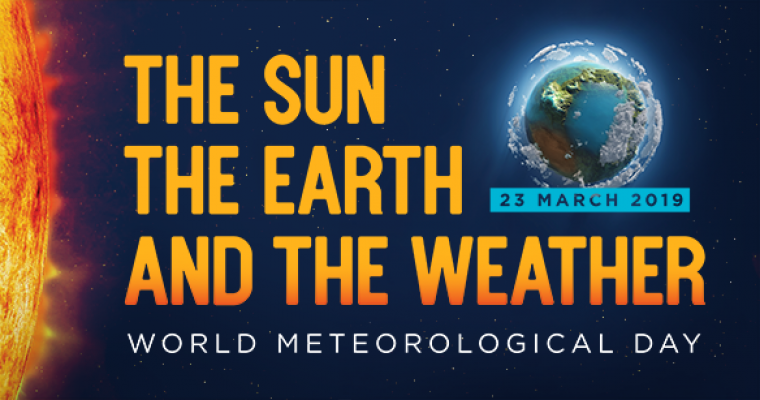 The theme of the World Meteorology Day 2019 is “The Sun, the Earth and the Weather”: the Sun delivers the energy that powers all life on Earth, it drives the weather, ocean currents and the hydrological cycle. For the World Meteorology Day, a series of events and celebrations, conferences and cultural events of a scientific nature are planned, in order to remember the importance of atmospheric sciences. Michel Jarraud, Secretary-General of the WMO, underlined in his speech the importance of preventing, through the study of meteorology, the natural disasters that increasingly afflict populations.